Leaving skin on, slice peaches into one-inch slices. Wrap a piece of prosciutto around the peach slice several times, and wrap a basil leaf across the top. 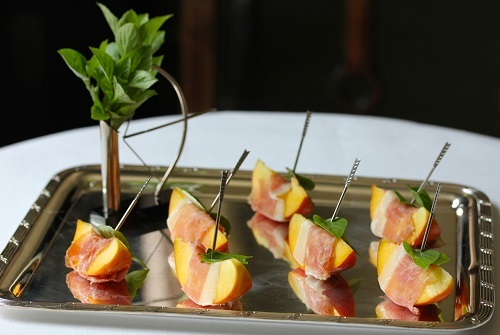 Fix basil and prosciutto to peach slice with a cocktail skewer. Serve.